1. Click on the "Start" menu from the menu bar. 2. Type cmd.exe, and press enter. For other Windows OS's, find the Command Prompt. 3. 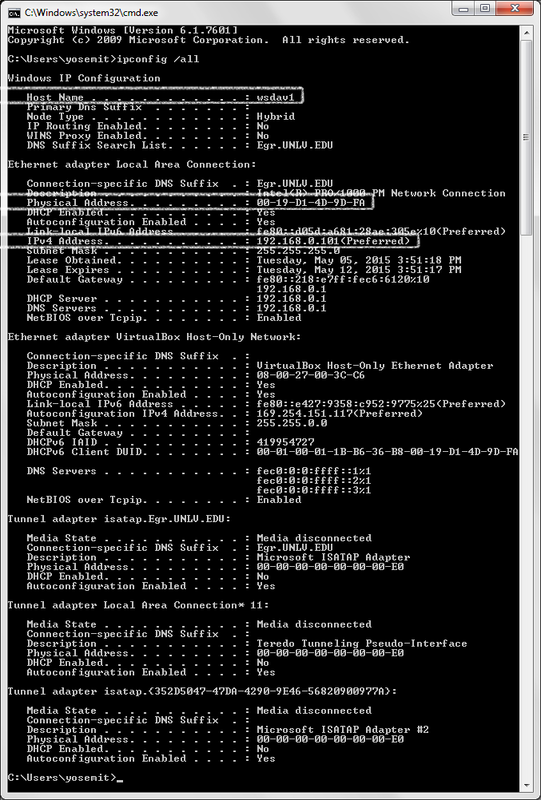 In the Command Prompt window, type and enter "ipconfig /all". Host Name is your computer's name. IPv4 Address is your IP Address. NOTE: (Preferred) is next to the IP address of adapter you are using to connect to the internet.